the obsessive imagist | art, design, life: HELLO YELLOW! Okay, I admit it. I am officially, irreparably obsessed with yellow. How did this happen? For some reason this summer I have discovered that yellow is the sunniest color, perfect to brighten up an outfit and I suddenly can't resist it. Sounds silly and trite, I know, but it's true! 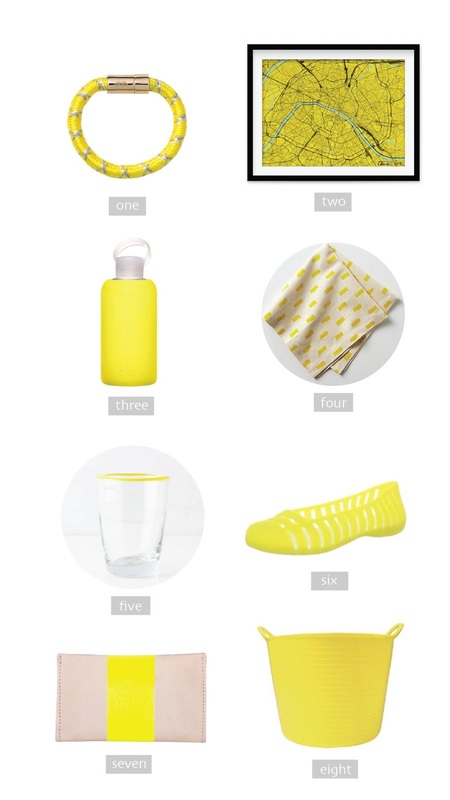 So here are some of my favorite picks for adding pops of yellow to your life. Do you have any yellow finds to add to the mix? Let me know in the comments! p.s. I thinking that the flats (#6) will be just the comfy thing for walking around Paris. Has anyone bought them who can give me a review?